I’m not sold on the value of rubber-soled wading boots, even the newest Vibram ones. I still buy felt-soled boots because I recognize that the boot material itself can contain water, and thus I think “ecologically conscious” rubber soles really amount to security theater, like the TSA. Moreover, despite what the manufacturers have tried hard to achieve, even the best of the new rubber soles just are not as sticky as classic piano felt. Given the safety demerit these boots represent, I stick to felt. However, in many localities felt soled boots are now forbidden, which is why I also have a backup pair of rubber soled boots. Rubber soles work best on gravel and broken stones, and worst on slick, mossy rocks with large flat surfaces (in which the Chattahoochee River here in Atlanta abounds). That’s where StreamTrekkers ($42) come in. 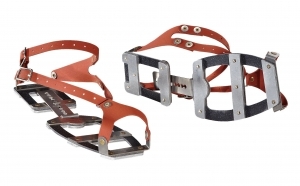 Patagonia’s $199 River Crampons offer the same benefits at five times the cost, but make bitchin’ sandals for your next outdoor metal concert. StreamTrekkers are the latest product from a company which is probably familiar to you if you live in the Mountain West, but which you may never have heard of if you live anywhere else. I first encountered the dry-land brand, IceTrekkers, when I was visiting my in-laws in Utah. Apparently these are all the rage among the mountain set, both for their practicality and for their very low cost. Basically these work on the same principle as a set of cramp-ons, or the much more expensive Patagonia Ultralight River Crampons ($199). 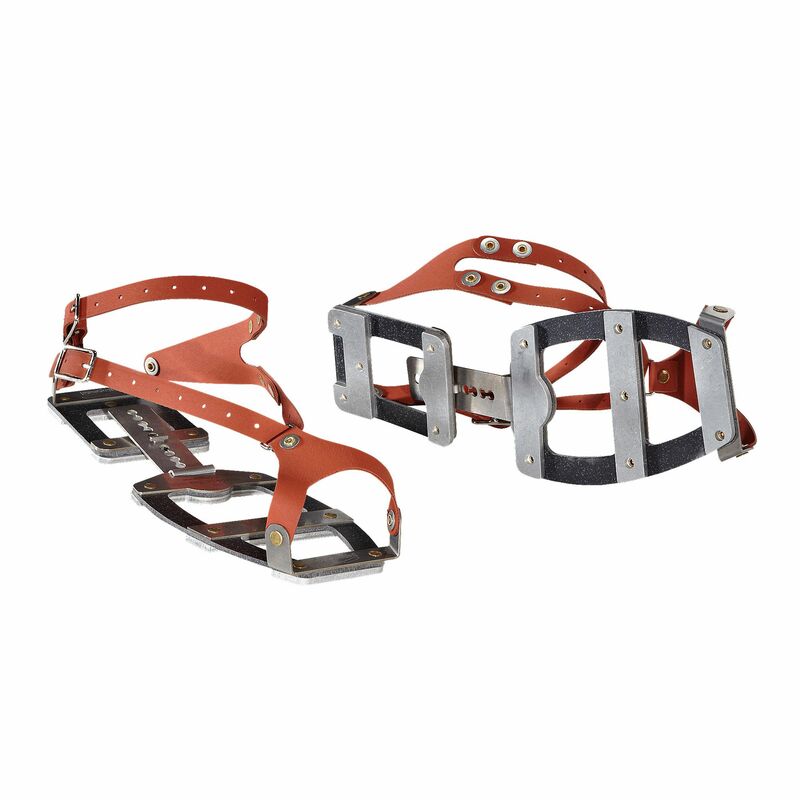 StreamTrekkers are very durable metal spikes which fit around your existing footwear via a rubber bandolier system. They are low-tech but exceptionally well thought out. Best of all, according to the manufacturer, these work equally well for dry land use if you actually live in an area with the occasional ice storm. Installation is easy; they slip on and slip back off. They also don’t weigh much, so they’re worth throwing in the hiking pack if you might encounter colder weather at higher elevations. (We’re hiking Grand Teton next week, and I plan to bring these).